It’s a common predicament: You’re the decision maker for the company and you need to choose the best telematics package! You know the results you’d like to see – lowered premiums, improved driver behaviour and real-time fleet tracking – but choosing the best hardware and solution is a challenge. Today we’re speaking on the most commonly prioritised features as described by the many companies and fleet managers who use our Street Angel Video Event Data Recorder. We’ll also touch on its many unique features. Years of experience in refining the product and our service have taught us what these busy professionals can’t afford to live without, and we’re proud to have continued to develop a great telematics solution over the years. The list of what you need. This is a general set of requirements that we’re sure you’ll agree must be included in any telematics package that calls itself a true solution. Flexibility: There’s little long-term benefit in a telematics product and service that isn’t flexible. Technology in the field is developing fairly rapidly, and a company worth its salt will make a point of continually updating what it has to offer. Your telematics solution also needs to adapt to your existing administrative and IT setup with minimal disruption. We cover this point with the Street Angel by regularly updating the software side (making Street Angel an effective enterprise management and location monitoring tool), and by offering a range of cameras depending on the type of vehicles in your fleet (rigid lorries, tractors, taxis and LCVs for instance) such as high level rear view and driver facing dome cameras. Trust: You’re putting a lot of faith into your telematics provider. They’re being trusted with sensitive data and must be able to perform during serious incidents as well as hectic daily activity. You can learn more about us here. We’re clear about our history, clients and our mission statement on service and quality. Reliability: We all know that the logistics and transport industries don’t hang around. A telematics solution that doesn’t have rock-solid uptime doesn’t cut it – it’s that simple. The Street Angel has been adopted by our clients across the globe because of its enviable feature list and the simple certainty that it will be there when it’s needed, which happens to be always! UI: The user interface needs to be accessible to staff of varying levels of computer literacy. It also needs to include key features like the ability to push emails of incidents to staff and managers. 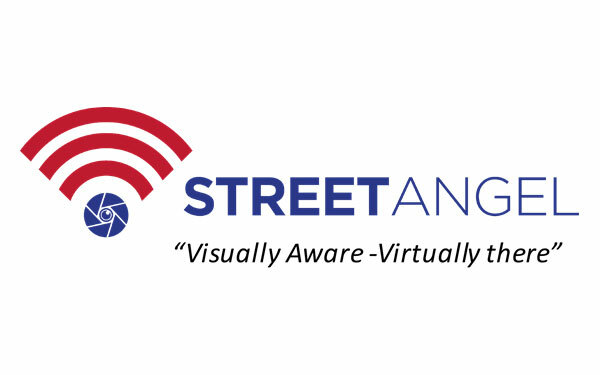 Street Angel’s dedicated and secure portal has this covered. We’re the only provider to offer both an Android and iOS app, Open API integration and a desktop suite. Easy to manage, simple to monitor and powerful in the right hands. Ongoing support: Our client companies come for the Street Angel and stay for the service. Particularly with a solution such as in-vehicle telematics, you won’t get a great result if you just buy into a contract without thinking on the aftersales quality. We’ve worked with clients for years because we take this subject seriously. For new customers, adjusting their processes and IT to the Street Angel is made easy with our help, and existing customers can expect support in improving and expanding the use of the solution as their fleets and businesses grow. What makes the Street Angel special? The Street Angel forward facing camera is our flagship product, and for good reason: it’s got what other solutions don’t. Decades of experience in the industry have gone into the hardware and software both, and we now boast an enviable list of features not available in other telematics packages. No SD card: We removed a common point of failure by avoiding an SD card on the Street Angel. It’s a standard part of other telematics products; instead, the Street Angel boasts 128GB onboard memory. That’s plenty of space for telemetry and video data and a more secure way to store it before transmission or collection. Secure connectivity: 3G, WiFi and Bluetooth are available for connecting to the Street Angel. Bluetooth connectivity is a feature unique to our product and is hard to find elsewhere. Transmitting information from your Street Angel is also safer, with our unique end-to-end data management SSL encryption included as standard. Securely sending data is as straightforward as the click of a button through the full reporting suite. Remote configuration & Health Check: One of the more unique features of the Street Angel is its ability to check and configure all cameras remotely. This is a serious point of convenience that makes the lives of staff and managers easier. Health Check technology lets you be sure of the functioning of all active Street Angel cameras in record time, with no need for manual inspection of hardware. Camera Park Mode: The lives of your drivers are made a little easier thanks to the parking mode included in the Street Angel. Use of the cameras to aid in delivering cargo in challenging locations is a highly requested feature we were happy to include, and we went one step further by ensuring that this functionality can be left active while the vehicle is stationary, if desired. First Notification of Loss Management: Ensuring a rapid, comprehensive FNOL management process is a top priority for fleets. Street Angel handles this, allowing for immediate claim intervention when incidents occur.